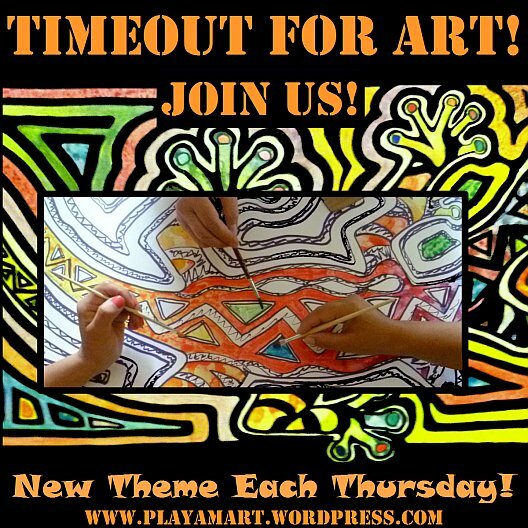 Timeout for Art? Oh Yes, Art! This pilota is writing from a cyber, where music blares louder than my thoughts! She’s going to post this and soar back home to the serenity of silence! It was snoozing this morning, but then awakened and searched for breakfast! Amazilia Hummingbird on branch of Palo Santo. While watching the hummingbird, I did not notice the VIP dining area in the orange tree beside the steps to the house! Orange-fronted Barbet feasting on oranges! Bananas, Oranges, Macadamias, Starfruit; this food thief is not a picky eater! Here’s the evolution – sorry, I often forget to take photos, and oftentimes those photos are not too clear at night. Tonight I should strengthen/finish the palm leaves, and tomorrow, the main branch… The final session will be fine tuning the details on the toucans. One can sometimes spot weak areas while viewing a drawing or painting in a mirror – or via ‘horizontal flip’ on the computer. For now, it’s time to fly home! See you next time online, hopefully via quiet mode! Thank you so much for sharing the peace and serenity of your home and its surroundings with us so beautifully. I always am excited when I see a post come in!! Thank you, and yes, I’m lucky to have such a feathered oasis, as well as the much-greener landscape than what’s half an hour’s drive from here. |You and Jack both inspire me as well, so I guess that means were were all meant to meet, thanks to WP! So much beauty in one post! Thanks, Lisa, for sharing your wonderful art with us! I think if I lived where you do, I’d have to buy some extremely-large canvases in order to capture the beauty of the flora and fauna in your area… Thanks for sharing your world with all of us, as most likely every lover of nature rhas dreamed of seeing your ‘residents’ in person. If ever you do visit South Africa we’d love to take you, and your art supplies and those extra large canvases, to a few of our favourite places! that would be an amazing experience! who knows, maybe one day that will happen! It’s obvious where you get your inspiration! You do realize that you live in Paradise? |Yes, Hugh, I do realize how blessed and fortunate I am to live where I now live. As they say, when God closed a door he opens a window, but for me, there are always many windows… that earthquake was a curse to many, but it booted me on to a new chapter… The birds are the icing on the cake! Sleepy owl is adorable. Just another bird in paradise! 🙂 🙂 Do the finished toucans have a home to go to? Hi Jo! Thanks, as always for your feedback and support! With little time online these days, I’ve not shared about two museum shows in ‘my’ future.. one is on |June 29th – a group show, and the big one will be in October, a solo show at the same museum. The Toucan painting was sort of painted to take to |Panama to sell on a stopover to the USA, but the group show date has altered my plans.. for now, the painting is ‘pending’… it’s now finished, and it’s extremely tropical!!! Delightful! I am enjoying your beautiful post. A lovely way to start the weekend. Thank you so much for your kind comment! I hope that your weekend was a good one! That precious owl is in the Tamarind tree on the left side of the image, but the owl is so tiny in the photo you’d have to see a large version. It’s such a precious owl! Today the owner of the property and I walked up the road where there’s a tiny alteration in the landscape – a neighbor is felling some trees (ugh – caustic to my ears and to my soul when one groans as it falls) .. they are also cutting bamboo, a much-better hcoice, and at the right time for the moon… overseeing it all was a pygmy owl, as if to say, ‘disgusting!’ but perhaps it was there looking for prey – dashing away from the demolition site?! Thank you for the feedback on the Toucans. The painting is finished, but today the cyber closed early, and I’m now at the park – not easy to see the screen or to work on a post! Until next week, Thanks again! different birds each doing their own thing. What wonderful photos Lisa, and your artwork is fabulous! Hi Eddie, and thanks for your support! Yes, there are days when I dash from one window to another, side to side, or I crawl up on the kitchen counter for a better view/photo ops for capturing those Brown Wood Rails. I am lucky and blessed… Thank you. I see where the tropical weather is ‘warming up’ literally, and I hope that this year your area is spared. Your posts just ooze of serenity Lisa. What a beautiful home you have made for yourself. Thanks so much for sharing it with us. Am at the park in Ayacucho so this will hopefully work – the June show, I think, will be June 29th.. the next time I’m in Portoviejo, I hope to confirm that. The \october show date is still pending and will probably be late July before they select the exact date… there are many events in October, so they’re still juggling their calendar. \i loaded your post and will read it offline, but yes, the bats seem to be bad here – one crawled under my door last week in the night, and the neighbor’s house as well as mine have bats roosting in the tetcho.. is there an invasion of bats?!! It’s been a busy time here, so I’ve fallen behind in everything. I’m ready for the serenity of home post-house guests and travel — I’ve learned, to my chagrin, that I barely can write a word with so much swirling around me. I suppose I could learn new ways of coping, but I’ll just be happy to return to solitude and routine! It’s always good to sink into your posts and imbide some of your serene world, even if vicariously. that’s exactly why i have that balance.. time with society and then time for the solace of home base, where all is quiet.. it takes me several days for that swirling to come to a halt! So loved the pygmy owl, how cute!.. And so love your excellent painting, but then all of your paintings seem magical to me.. Each one holds such vibrancy and life.. I could almost feel that branch sway in the breeze.. Thank you again dear Lisa.. for sharing your love of Nature and art.. there really is no better connection on earth.. And during more so in Spring and Summer I am more in my gardens and out in the natural world than behind my key board..
that resident pygmy owl caught a large grasshopper and ate it very near my kitchen window.. what an interesting sight!!!! Oh wow.. Now that I would have loved to see.. 🙂 Poor Grasshopper, but Nature’s balance..